Today is the last day of April, and consequently, the last day to vote for your favorite haiku for the Haiku Contest I hosted this month! Tomorrow I will post the winners, but if you see your favorite still isn't in the lead, you should vote for them now before it's too late. I don't think that's nice! 14. The Kleenex is blue. You're almost out of tissue. best served cold. Some sage advice? Q. Keeping with the dystopian and apocalypse theme that seems to be running rampant on parajunkee.com, I have one very hard question for you: If you were stocking your bomb shelter, what books would you HAVE to include if you only had space for ten? I saw this one on another WoW and thought it sounded really good. I also love the cover!! I'm really excited for this one. p.s. you only have three days left to vote on my April Haiku Contest! the link to the entries is HERE. Hey everyone, as I'm sure you're all aware, today is Monday. If I had to pick a least favorite day of the week, this would definitely be it, and I am positive that I am not alone in this. Since it is Monday, and we've got the whole week ahead of us, why not start off with something exciting? As a general rule of them, movies are never as good as the book it was based upon with very few exceptions, and sometimes the movies are horribly different and everyone leaves feeling disappointed (Eragon anyone). Anyway, one book to movie adaption I feel hopeful about is 'The Hobbit'. 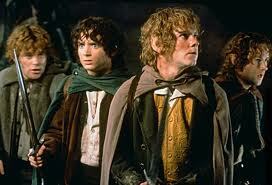 I loved the book, my dad read it to me when I was little, and I just adore Middle Earth, hobbits, elves, and dwarves. This is going to be a must-see-on-opening-night thing for me. Q. What is on your current playlist right now? Wow, so many different things! Q: What is your most referred to website for your writing? A: Huh, I don't know, I usually just use my dictionary/thesaurus widget when I am writing, and don't usually refer to one website in particular... maybe dictionary.com? Be sure to leave a link so I can check your blog out! Blessed—or cursed—with an ability to understand animals, the Lass (as she’s known to her family) has always been an oddball. And when an isbjorn (polar bear) seeks her out, and promises that her family will become rich if only the Lass will accompany him to his castle, she doesn’t hesitate. But the bear is not what he seems, nor is his castle, which is made of ice and inhabited by a silent staff of servants. Only a grueling journey on the backs of the four winds will reveal the truth: the bear is really a prince who’s been enchanted by a troll queen, and the Lass must come up with a way to free him before he’s forced to marry a troll princess. 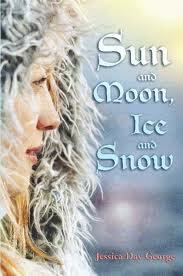 I just finished ‘Sun and Moon, Ice and Snow’, and thoroughly enjoyed it! 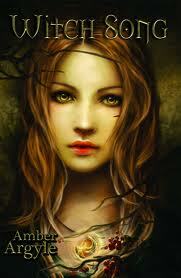 I loved the fairy tale feel with ancient legends that were woven into this story. The characters were very well developed, and even the minor characters had distinct personalities. I also love stories with strong female heroines, and this book definitely provides that. 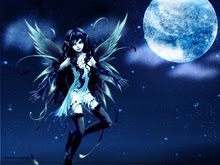 The main character Pika, or the ‘Lass’ shows inner conflict, compassion, and strength. I think my favorite character in this book though, was Hans Peter, the Lass’s beloved older brother. I also really liked the cover art, it drew me in, showing the girl staring off into the distance. Everything about this book was fantastic, and the ending was fantastic. (That last fact gets extra bonus points from me because I’ve read my fair share of books where I adored the plot but when the ending came along I was left feeling… ‘bleh’). I would definitely recommend adding this book to your TBR list! This is the third and final part of my three part poetry series that I am doing in honor of poetry month. All three of the poems I did were based of paintings that I saw in a museum. This particular poem was based off of a still life. Spreading the Word isn't exactly something that I 'host', but it is something I do once in a while to promote a blog I think should be promoted. If you decide to catch on and do it too, I think it is super cool to give deserving bloggers a bit of time in the limelight. The blog I'm featuring today is AsianCocoa. She is just getting started in the blogosphere and only has three followers! Her blog is absolutely gorgeous, and you should definitely all show her some love and check it out!. p.s. If you haven't voted for the Haiku Contest, you can find the entries HERE! Q. Do you have anyone that you can discuss books with IRL? Tell us about him/her. A. I have a group of friends that I talk about books with. In fact, almost all my friends love to read. They all have similar tastes to me, albeit some of them are slightly more critical of the books then I am. I refer books to them and they refer books to me. We can get onto the topic of books and stay there quite a while! Please leave a link so I can check you out! My April Haiku Contest is going into phase two as of today. The chance for submitting is over unfortunately, but now we all get to vote, the poll is on the top right of the page! You can refer to the April Haiku Contest page if you wish, but I figured it would be easier if I just set up all of the entries right here for you to vote on, so here we go! I am really excited for this release! I loved the first book, and the movie was really good - not as good as the book, (but then again, they never are). 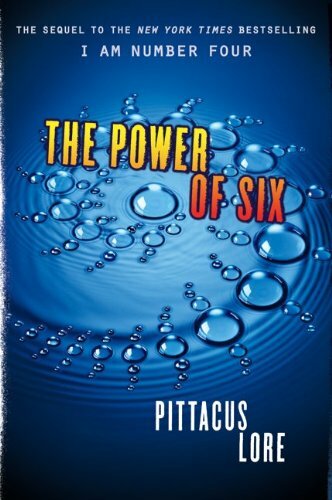 This is a great Science Fiction series, and if you haven't read the first one (I Am Number Four) yet, you really should! This is the second part of my three part poetry series I am doing. This poem was inspired by an abstract painting (that is probably important to know otherwise the poem will make absolutely no sense). It was a big painting, it took up a huge space on the wall - it definitely wouldn't fit anywhere in my house that is for sure! Just a reminder that you have only three days left to submit for the Haiku Contest I am hosting! This will be my last reminder so be sure to click on the link for guidelines. (You can post your entries as a comment for this post - that would probably be the easiest). In honor of National Poetry Month, I am doing a short series of poems I wrote. They are all inspired from paintings I saw at an art museum. I searched for them, but I could not actually find a picture of the paintings to post with the poems, so I guess they will have to be descriptive enough on their own. This first one was a painting of the Seine Valley. Q. Do you judge a book by it's cover? A. I am embarrassed to say that I have. I judged 'City of Bones' by it's cover and almost did not read it, but my friend said it was good and now it is one of my all time favorites! 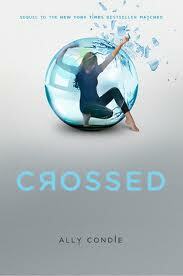 I am so excited for this book, I loved "Matched" and am highly anticipating its sequel! As I have become more used to the whole blogging thing I have been experimenting with new things, and since I have had the same plain-ish layout since I started this blog last February, I though now might be a nice time for a change. It took me a while to figure out how to get a picture up on the header, and once I did, I realized that my old template formatted it in a really ugly way, so I got a new one. (Wow, that's really weird, the second I finished typing that a bird flew into my window and then flew away. Poor little guy!) Anyway, I got the picture at a botanical garden in Santa Barbara when I was on vacation a few weeks ago, they were sun-bathing, so I had to tweek the photo so it looked more night timey, and... Voila brand new Howling Turtle layout. I'll stop rambling now and let you get back to enjoying your week end.